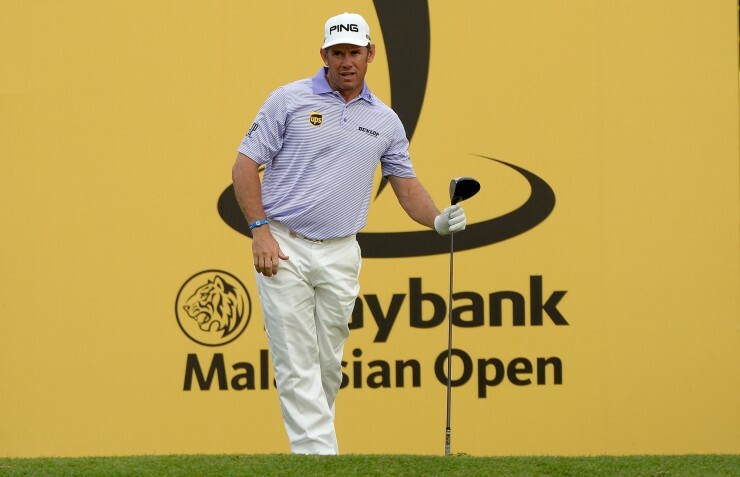 Kuala Lumpur, February 5: Defending champion Lee Westwood launched his bid for a record-tying third Maybank Malaysian Open crown by firing a brilliant six-under-par 66 to share the first round lead with Ryder Cup teammate Graeme McDowell on Thursday. The Englishman, who won the title in 1997 and romped to a seven-shot victory here last season, snared seven birdies against a lone bogey at the Kuala Lumpur Golf and Country Club’s West course and was matched by Northern Irishman McDowell, who produced a matching card. 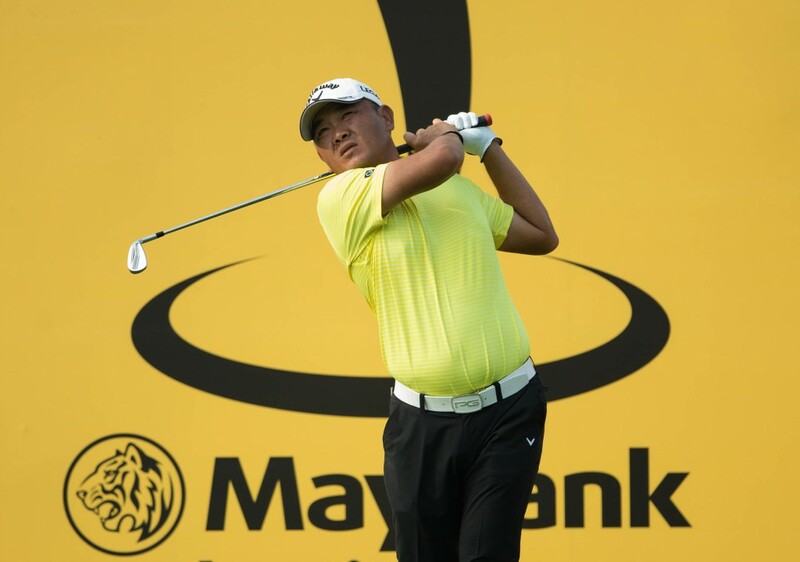 Malaysia’s Danny Chia provided the local cheers with a strong 67 to tie for third place with Tommy Fleetwood of England and Korea’s Kang Sung-hoon at the US$3 million championship co-sanctioned by the Asian Tour and European Tour. Prom Meesawat of Thailand, who finished third on the Asian Tour’s Order of Merit last season, rolled in a birdie on his last for a 68 for equal fifth place with Anders Hansen of Denmark and Alejandro Canizares of Spain. Westwood, renowned as an Asian specialist as he has won seven Asian Tour victories in his illustrious career, was in total control of his game to maintain his love-affair with the Maybank Malaysian Open. “I’ll take that. I putted very nicely and started the ball on line well. I left a couple short in the middle when I was fooled by the grain but overall I’m very happy. It’s probably the toughest I’ve ever seen this golf course play,” said Westwood, who is ranked 30th in the world. Former U.S. Open champion McDowell, featuring in the Maybank Malaysian Open for the first time since 2008, kept his cool on a warm day in the Malaysian capital. He battled into contention with two birdies over his closing three holes. “This morning I was really trying not to over-react to any mistakes I made. It really is too hot to get mad out there, so you have to keep your emotions under control and obviously stay hydrated and cool and try to embrace it,” said McDowell. 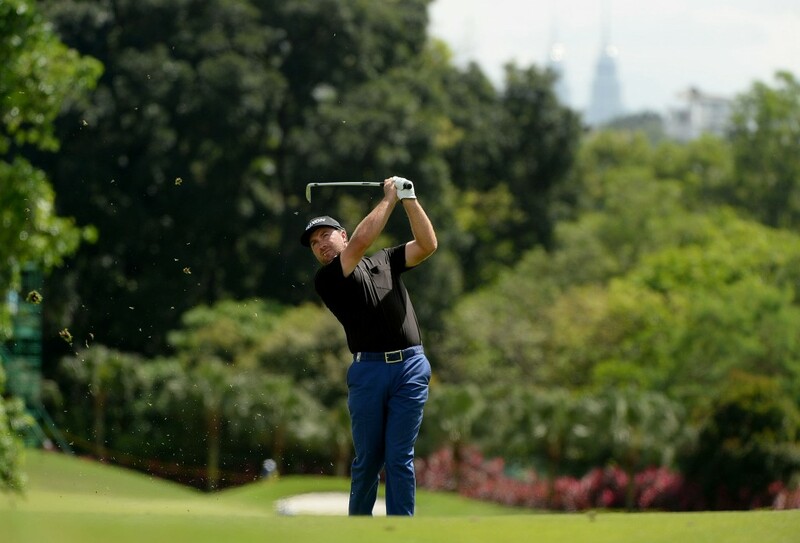 The fast start has given McDowell the belief that he can win the Maybank Malaysian Open title in what is his second start of the year. “I work off the course over the winter improving some things physically and in my swing and things seem to be clicking really well. It is early days but I’m feeling relaxed and my attitude is good too. If I can continue that for the rest of the year then good things will come,” he added. Chia, Malaysia’s first winner on the Asian Tour when he won the 2002 Taiwan Open, reeled in four straight birdies on his back nine to charge to the top of the leaderboard. “The putter got hot on the back nine and I started making some putts and started to hit better. I got agitated with the way I was hitting the ball but after I made birdie on my 11th hole (on the 2nd) I started to hit it much better,” said the 42-year-old Chia, who holed two long birdie putts on four and seven. Since 1962, no Malaysian has won the national Open and Chia, who was the halfway leader in the 2008 and 2009 editions, is not getting ahead of himself despite his strong start. “I’m just trying to take it one shot at a time and focus on the present. Fairways and greens and try to make birdies … try to make it simple. I guess this has come from experience,” he said. Fleetwood, one of the rising stars from Europe, produced a bogey-free 67 to give himself a chance of winning a second European Tour title. “It was perfect actually. I played very steadily and it was nice to hole a few putts. I holed a long one from 35 feet on the eighth – my 17th – to get in on five under, so it was the perfect first round,” he said. Prom, who has registered three career top-10s on the West course, was near flawless as he shot five birdies, including a snaky putt on his last much to the delight of the galleries. The only blip was his throw of his golf ball into the hospitality stands which failed to reach its intended target. “I didn’t want to risk injuring my arm,” laughed Prom. “The course is playing very difficult. It is tough to control the ball on the greens and it was very windy. It is a good opening round. I always try to find the fairways as much as I can here. You must be patient here. 66 – Lee WESTWOOD (ENG), Graeme MCDOWELL (NIR). 67 – Tommy FLEETWOOD (ENG), Danny CHIA (MAS), KANG Sung-hoon (KOR). 68 – Alejandro CANIZARES (ESP), Anders HANSEN (DEN), Prom MEESAWAT (THA), Richard BLAND (ENG). 69 – Richard T. LEE (CAN), Paul MCGINLEY (IRL), Andrew DODT (AUS), Jake HIGGINBOTTOM (AUS), Paul WARING (ENG), Stephen GALLACHER (SCO). 70 – Mod Iylia JAMIL (MAS), Robert KARLSSON (SWE), Gregory BOURDY (FRA), Anirban LAHIRI (IND), Andy SULLIVAN (ENG), Felipe AGUILAR (CHI), Romain WATTEL (FRA), Robert ROCK (ENG), Marc WARREN (SCO), Scott BARR (AUS), Alvaro QUIROS (ESP), Nicolas COLSAERTS (BEL), Bernd WIESBERGER (AUT), Emilliano GRILLO (ARG). 71 – Chinnarat PHADUNGSIL (THA), Juvic PAGUNSAN (PHI), Julien QUESNE (FRA), Nicholas FUNG (MAS), Mark FOSTER (ENG), Raphael JACQUELIN (FRA), Mikael LUNDBERG (SWE), Peter LAWRIE (IRL), Terry PILKADARIS (AUS). 72 – Thongchai JAIDEE (THA), David LIPSKY (USA), Shiv KAPUR (IND), Miguel Angel JIMENEZ (ESP), Arnond VONGVANIJ (THA), Morten Orum MADSEN (DEN), Paul PETERSON (USA), Simon DYSON (ENG), Kristoffer BROBERG (SWE), Lucas BJERREGAARD (DEN), Nathan HOLMAN (AUS), Angelo QUE (PHI), Gary STAL (FRA), Marcus FRASER (AUS), Peter UIHLEIN (USA), Edoardo MOLINARI (ITA), Gregory HAVRET (FRA).